Create lifelong memories by visiting these iconic attractions, from a swinging bridge to a former battleship to one of the world's largest zoos. It can be a challenge to plan a family vacation or weekend getaway that appeals to kids of all ages and parents, too. Luckily, North Carolina has plenty of options for fun for the whole group. Plan your next excursion with this list of family favorites. 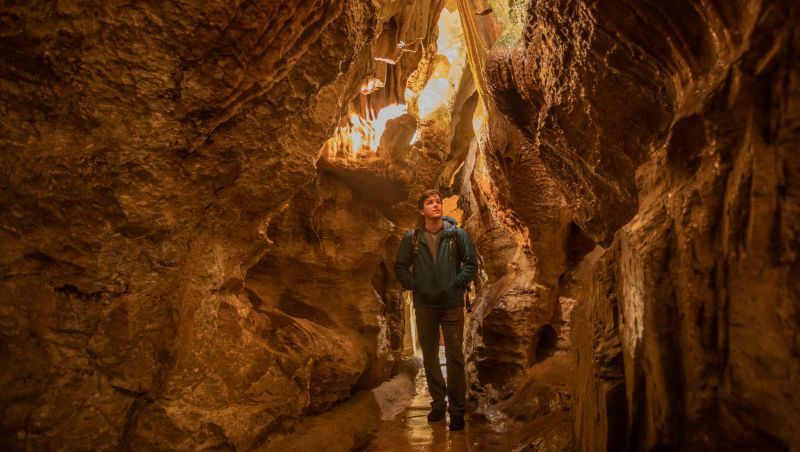 Located near the High Country, North Carolina’s only show caverns allow visitors to glimpse nature at work “inside” the mountains. Slow moving ground water created underground labyrinths forming an incredible series of rooms and passages and spectacular formations. Old Salem Museums & Gardens lets you experience early American history in the unique Moravian settlement of Salem. You can witness craftsmen performing historic trades, recreate Moravian crafts, enjoy sweets from Winkler Bakery, visit the Museum of Early Southern Decorative Arts (MESDA) and enjoy the gardens, an essential part of life in Salem since 1766. Learn to surf in the emerald green waters of Wrightsville Beach with private and group surfing lessons and camps. Whether you’re a beginner or have surfed before, the staff of trained educators will take you to the next level. 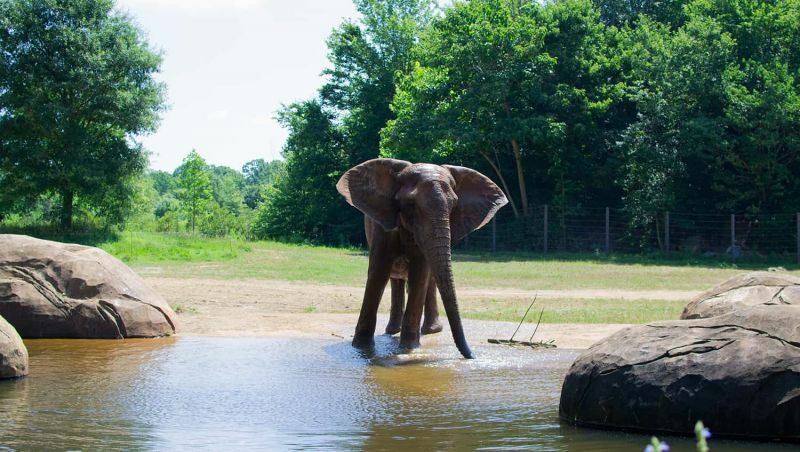 Connect with wildlife from two different continents as you explore 500 acres of exhibits carefully constructed to resemble natural habitats. You can walk, or take a tram, from Africa’s grasslands to North America’s Arctic coast, all in one fun day. 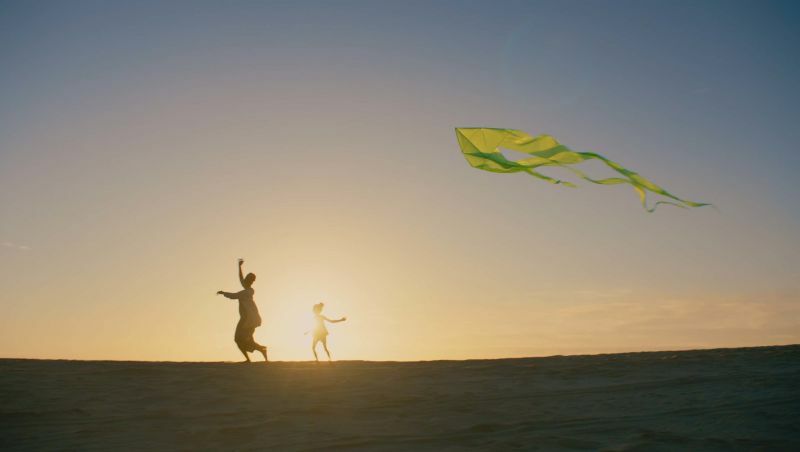 Learn to hang glide over soft sand dunes or fly tandem with an instructor at Kitty Hawk Kites. Other activities include kiteboarding lessons, dolphin tours, Lost Colony and bioluminescence kayak tours, as well as parasailing and stand-up paddleboarding. 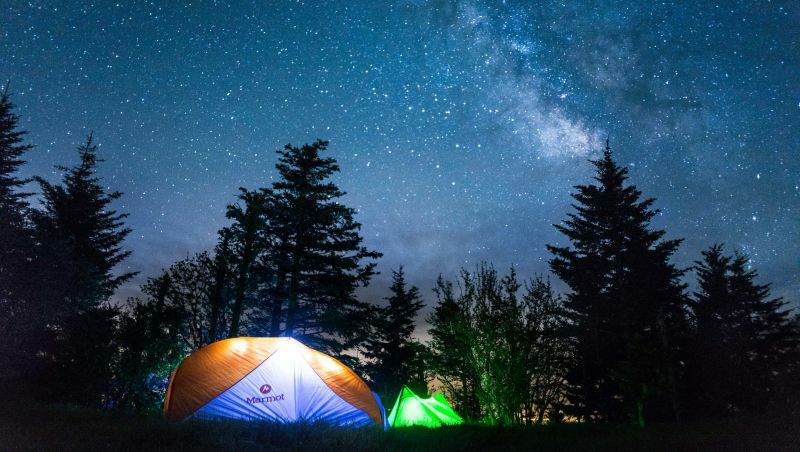 Comprising more than 500,000 acres, this forest features whitewater rivers, waterfalls, hundreds of miles of trails and popular campsites. 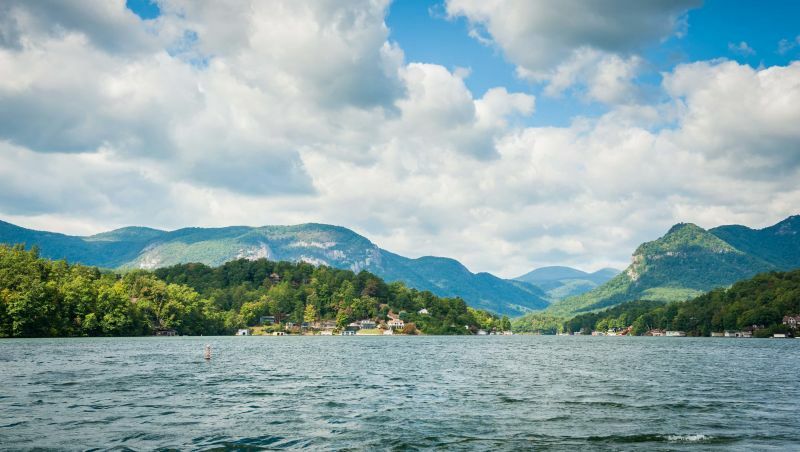 Choose one of the family-friendly campgrounds, such as Lake Powhatan and Davidson River. And venture to the legendary Sliding Rock, a 60-foot natural water slide. Carowinds expanded its water park in 2016, transforming it into Carolina Harbor and becoming the largest water park in the Carolinas. It will entice you to slide through Blackbeard's Revenge, watch your kids frolic in Kiddy Hawk Cove, catch some sun on one of the luxury cabanas and more. The park opens on May 18. Pharmacist Caleb Bradham invented Pepsi in his drugstore in New Bern in 1898. Today, you can visit the Pepsi Store and browse through memorabilia while learning more about the history of one of the world’s favorite soft drinks. Enjoy the cool mountain air as you cross Mile High Swinging Bridge, a 228-foot suspension bridge spanning an 80-foot chasm at more than 1 mile in elevation. A total of 11 trails dot this spot, one of the highest peaks in the Blue Ridge Mountains, so you can take on anything from a gentle walk to a rigorous trek. In addition to areas that celebrate mountain waterfalls, central rivers and coastal swamps, you can see three exhibits that replicate famed shipwrecks off the North Carolina coast – the sunken German sub U-352, Blackbeard’s flagship, the Queen Anne’s Revenge, and the Caribsea freighter at the North Carolina Aquarium. 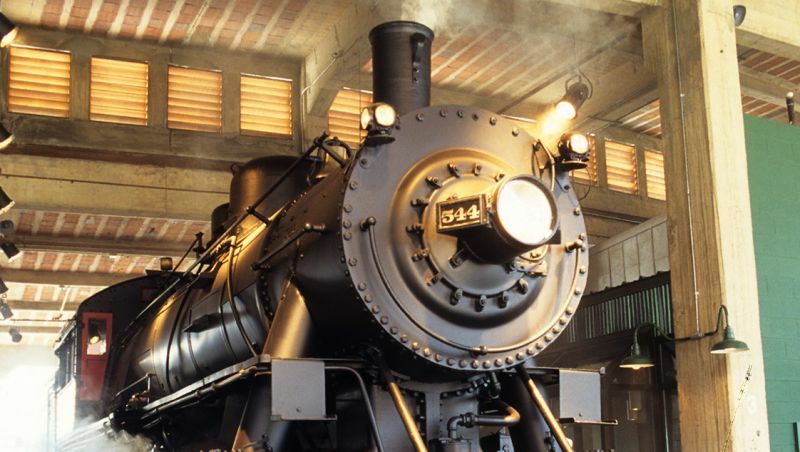 Explore antique locomotives, rail cars, automobiles and more at a site that was once a national hub for steam engine repair at the North Carolina Transportation Museum. You can also take the train ride around the historic 57-acre site, enjoy the many family-friendly special events and learn how transportation helped build North Carolina. 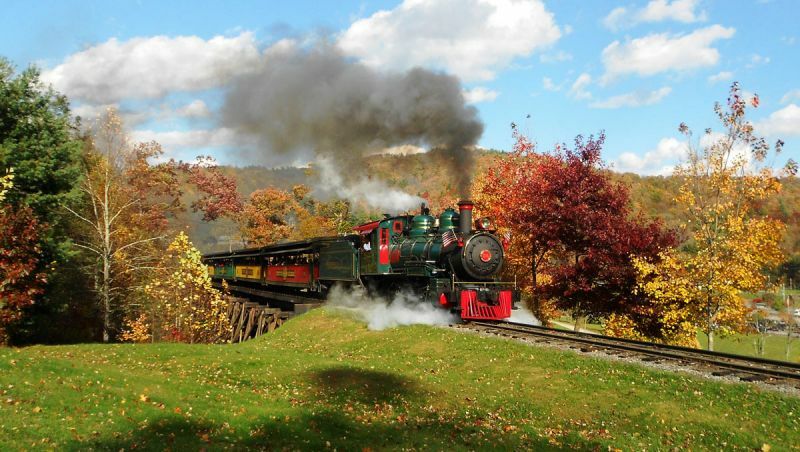 This family theme park features a 3-mile, steam-powered train ride, which plays host to special events throughout the year such as Day Out With Thomas and Ghost Train. There's also live entertainment, amusement rides and a petting zoo. The fun begins on April 5. The most decorated U.S. battleship of WWII offers you a chance to explore nine decks, crew’s quarters, gun turrets and much more. 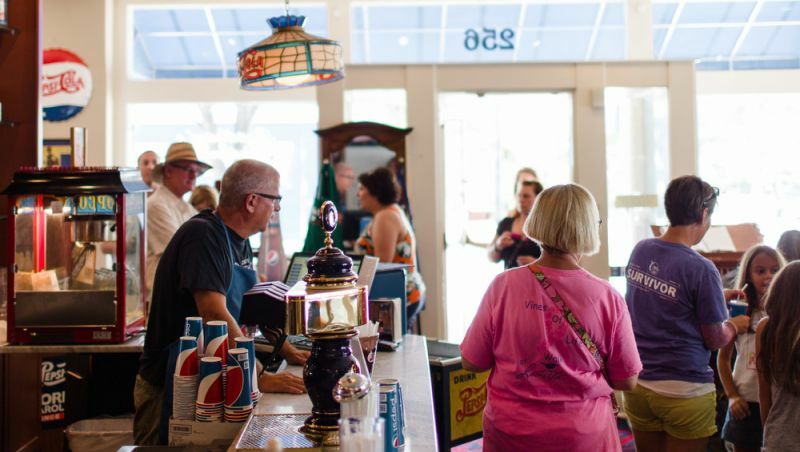 Afterward, visit downtown Wilmington for shopping, day or evening riverboat cruises, museums showcasing North Carolina artists and history, or tours of the historic district, nature preserves, and TV and film locations. 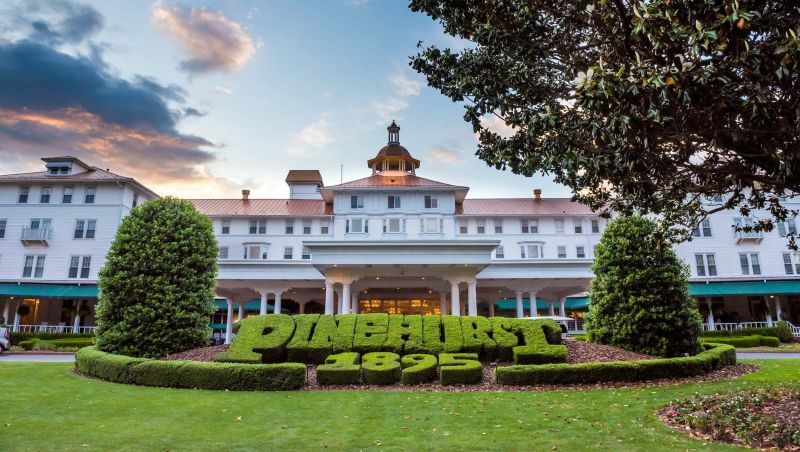 With nine 18-hole golf courses, including the world-renowned Pinehurst No. 2, and the 9-hole short course known as The Cradle, Pinehurst is the largest golf resort in America. Non-golfers in the family can relax in the award-winning spa, take a lesson in lawn bowls or croquet, or kayak on the private lake. Gaze up at Chimney Rock as you play or lay on the beach. Plus, the Water Works park offers soaking games, water slides and cannons, bumper boats and more. Then stop for a bite or an ice cream cone at one of the restaurants by the shore.